A Saudi Arabian diplomat stationed in London has denied a British newspaper report that the prominent Arab country will allow Israeli jets to pass though its northern airspace in order to attack Iran’s nuclear facilities. 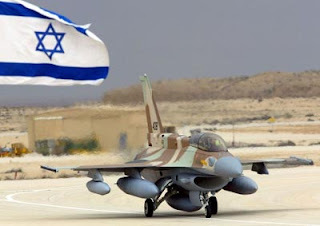 The mid-June report published in the Sunday Times newspaper quoted an unnamed senior Saudi government official saying that his country was prepared to look the other way as Israeli warplanes transited over the northern Saudi desert on their way to Iran. However Prince Mohammed Bin-Nawaf, a member of the ruling royal family, later told an Arabic newspaper in London that the reports are not true. Officials in Jerusalem would not comment on the British media reports, but security sources said they suspect that the Saudi government is indeed prepared to permit air corridor access to IDF attack aircraft. They noted that the Saudi Foreign Minister told visiting US Secretary of State Hillary Clinton in April that urgent action is needed to halt Iran’s threatening nuclear activities, which are continuing despite the June 10th passage of tougher UN sanctions aimed at curbing the extremist Shiite Iranian regime’s threatening uranium enrichment program.